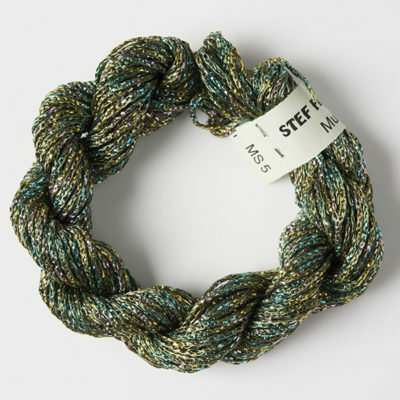 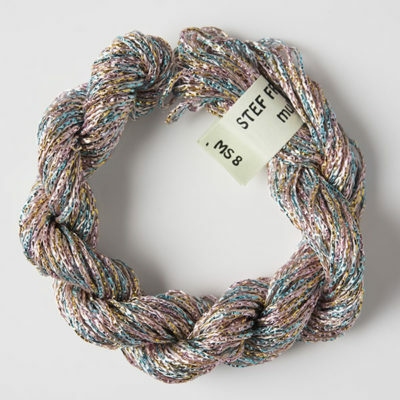 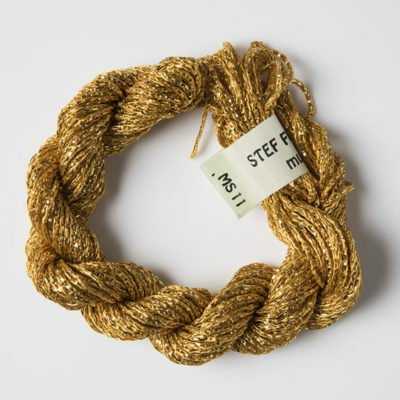 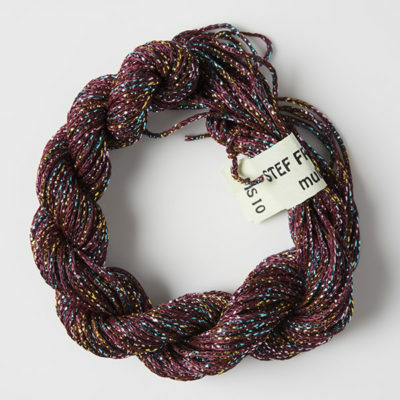 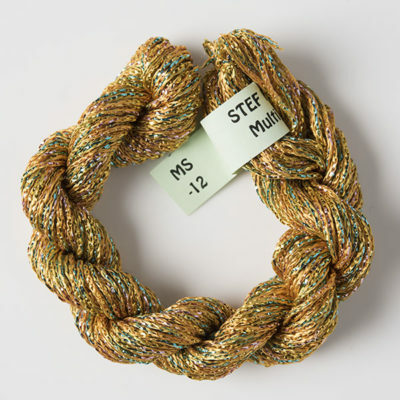 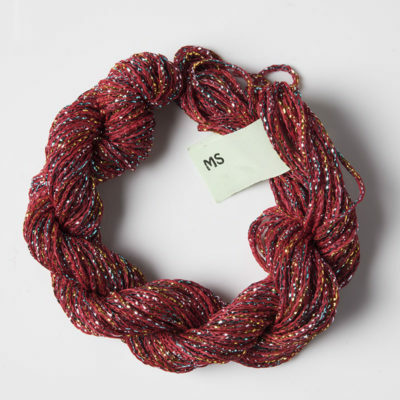 These multisparkle yarns are a mix of a fine chainette with metallised polyester incorporated in the construction. 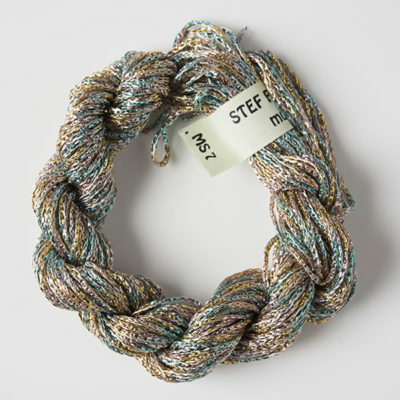 The result is a lustrous, sparkling, yarn very suitable for giving a lift to a creative embroidery and cross-stitch. 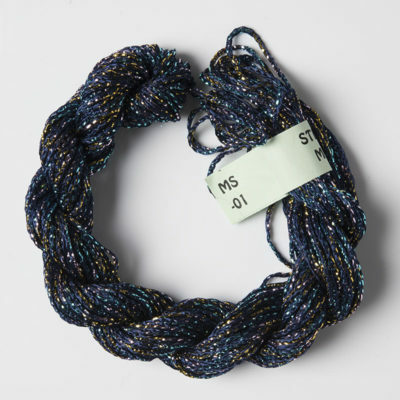 It is in many ways similar to our ‘ sparkle chainette’ yarn, but the rayon content is a solid colour and the metallised polyester gives it a multi-colour appearance.